Celebrities are THE fashion icons for beauty, makeup — and of course, hairstyles. Tyra Banks is no exception. 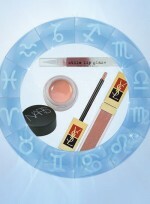 That’s why we’ve got Tyra Banks photo galleries, pictures, and general beauty news on this celeb. Her style is totally inspiring and worth checking out. So if you’re searching for some beauty tips, hairstyle options, and fashion advice, turn to Tyra Banks. She’ll bring your fashion to a whole new place. 1. Spray on a heat-protecting product before straightening your dry hair with a flat iron. 2. Make a deep side part and pull your hair back into a low bun. 1. 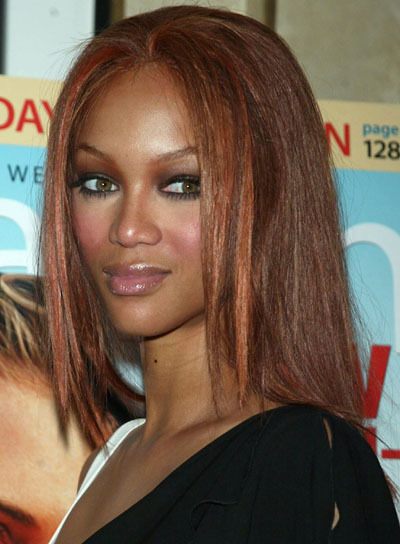 To get Tyra Banks' hairstyle, comb damp hair into a middle part and apply shine serum to de-frizz hair. 2. Blow dry hair dry in sections, leaving the pieces around your face for last. 3. Wrap front pieces, or the pieces you want "blown back" around a medium round brush and rotate brush out and away from your face to achieve an outward curl. 4. Apply finishing spray to set hairstyle.